Another of the cutting-edge ingredients found in our Ultra 15% Vitamin C serum, new from glotherapeutics, Preventhelia works to protect the skin, cells and DNA from the toxic effects of free radicals, thus preventing skin aging, cellular necrosis and DNA damage. 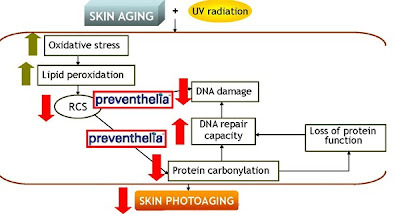 It does this by fighting the detrimental effects of UV radiation in human skin that can lead to photoaging. It possesses photoprotective properties, and is able to prevent the damage caused directly or indirectly by UV radiation to DNA and proteins. 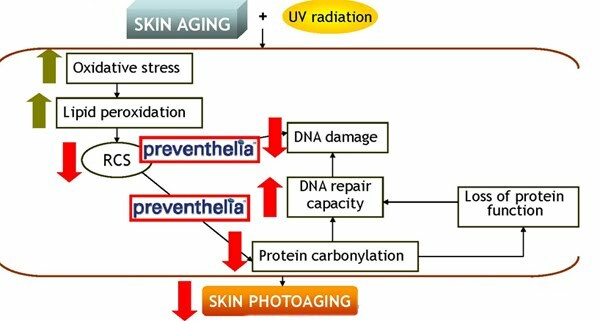 Preventhelia works to both protect and repair cells by preventing DNA damage, and reinforcing DNA repair capacity. Preventhelia is just one more of the cutting-edge peptides found in the all new Ultra 15% Vitamin C serum from glotherapeutics!